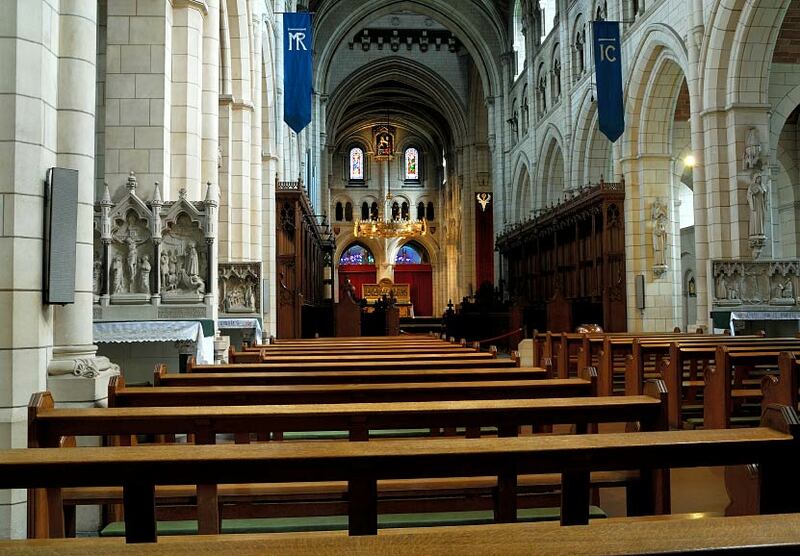 The nave of Buckfast Abbey with its mix of Gothic and Romanesque styling. Founded in Norman times the abbey was abandoned and left to ruin during the reign of Henry VIII. It was not until a group of Benedictine monks arrived in 1882 that the rebuilding began.